PNY Technologies and TYAN, an industry-leading server platform manufacturer and subsidiary of MiTAC International Corp., today announced that they have developed the strategic distribution partnership for the EMEA region. PNY Technologies will promote and distribute TYAN's full range of NVIDIA TESLA GPU based HPC servers through its wide network of channel partners across the region. Designed for high performance in massively parallel computing environments , the PNY product portfolio of TYAN servers and NVIDIA GPUs easily meet users' complex workloads requirements while accelerating general computing capability. The NVIDIA TESLA GPUs are designed from the ground up for High Performance Computing (HPC) to deliver up to 10X higher application performance and are ideal for seismic processing, biochemistry simulations, weather and climate modeling, signal processing, computational finance, CAE, CFD, and data analysis. "TYAN is the industry-leading manufacturer of advanced X86 GPGPU server platforms," said Albert Mu, General Manager of TYAN. "TYAN's GPGPU products coupled with the PNY's professional solutions and technical support accelerate the success to EMEA customers who require effective, efficient and flexible IT infrastructure. Our strategic partnership with PNY strengthens our commitment to meeting customers' critical IT requirements and help them to achieve their business goals. " "We are happy to distribute TYAN's GPU based servers as it complements our existing Professional Graphics Cards product portfolio and adds tremendous value to our channel. PNY is known for its ability to understand the needs of the professional graphics and HPC segment and is constantly innovating its technology to meet these needs. We plan to work closely with our channel partners and systems integrators to increase TYAN's visibility and market share in EMEA," says Jerome Belan, CEO of PNY Technologies EMEA. The TYAN's GP/GPU servers by PNY are available to system integrators, value-added resellers, and distributors throughout Europe and Middle East. 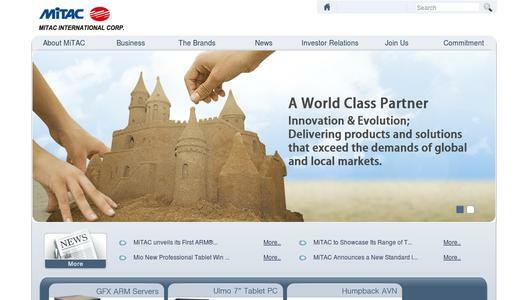 TYAN, as a leading server brand under the MiTAC Group, designs, manufactures and markets advanced x86 and x86-64 server/workstation board technology, platforms, and server solution products. Its products are sold to OEMs, VARs, System Integrators, and Resellers worldwide for a wide range of applications. TYAN enables its customers to be technology leaders by providing scalable, highly-integrated, and reliable products for a wide range of applications such as server appliances and solutions for high-performance computing, and server/workstation used in markets such as CAD, DCC, E&P and HPC. 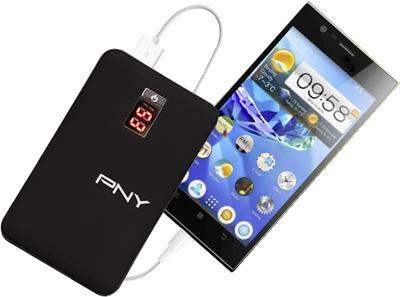 Established in 1985, PNY Technologies is a leading manufacturer of a full spectrum of high-quality products for everything in and around the computer. In 2002, PNY Technologies became the exclusive add-in card partner of NVIDIA Quadro workstation graphics solutions and deals with the integrators, distributors and VARs in the USA and in EMEA. The NVIDIA Quadro based graphics boards from PNY are the most powerful, feature-rich family of high performance boards available to the professional community. Certified for all major CAD/CAM and DCC applications they deliver unmatched power to maximise your productivity. PNY Technologies is the exclusive NVIDIA Quadro & Tesla channel partner for the Americas, Europe, Africa and Middle East. Danke Mama, dass du immer für mich da bist!